Superior, fast provisioning, reliable SIP trunking. A SIP Trunk is a VoIP (Voice over IP) protocol which allows you to make and receive telephone calls using your internet line in conjunction with, or instead of, your existing ISDN or analogue circuits. Most modern phone systems have the option of using SIP trunks built into them alongside the ISDN/ Analogue circuits. Once configured they work in exactly the same way allowing your business to make and receive phone calls as usual, without any change for the users of the phone system. 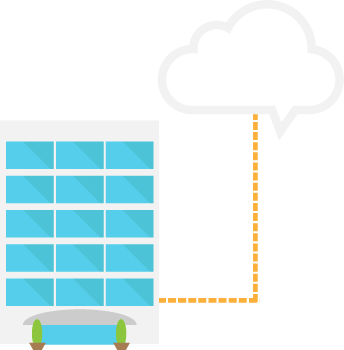 What does a SIP Trunk do for my business? SIP Trunking nearly always provides cheaper calls, unless you spend a million pounds a month on calls and have a massive reduced call rate you will almost certainly save money by using a Voxcloud SIP Trunk. Taking on more staff is a key part of expansion, more staff means more phones. 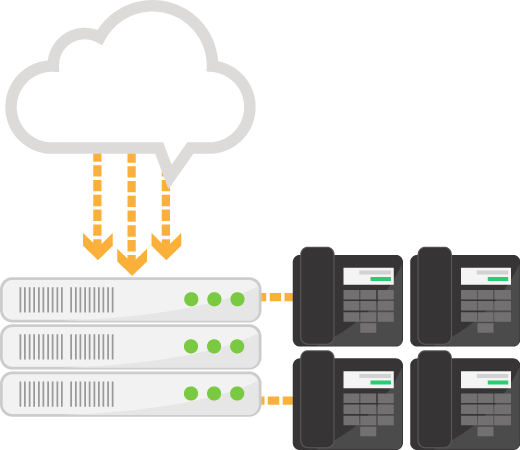 Voxcloud can provision and install SIP trunks in minutes, with no set up charges, so you can avoid far off installation dates and additional costs usually associated with traditional phone lines. Have your main phone lines ever failed? If not can you imagine the business impact if your phones lines were off for just 1 day? Our SIP trunk works over your internet connection, so they are totally independent of the phone lines. Therefore you can still make outbound calls should the phone lines fail, and by redirecting your main number to the SIP trunk, incoming calls will continue as normal. This ensures that business can continue as usual as far as your customers are concerned. You have your great product or service to sell, you have sorted out your office space and your staff and you have to wait 2 weeks for a phone line to be installed. With Voxcloud, we will allocate your chosen numbers straight away, so you can update your website and business cards, then configure your SIP trunk ready for use with your phone system. If you don’t have a phone system, you can use our Hosted Phone System, which is a complete setup based in the cloud. You just need an internet connection and a PC to get your new business phones up and running. Assuming you have a working internet line (who hasn’t these days) there is no actual installation required, we configure our end and you configure your end, it can take just a few minutes and its up and running. With our SIP Trunk you have access to virtually any UK phone number range, which means you can have a regional number, for a specific campaign. For example, you are based in London, and have a London phone number, but you want to sell Whiskey in Scotland. We can provide a Scottish number to your system, that then routes directly through to your sales team in London. This is one of many features available in Voxcloud to help you stay one step ahead.